Steve’s breakdown: It’s time to call the Avon Lady because the company is shaking things up in a big way. Check in with Elana Gold at elana.gold@avon.com. She’s the Chief Marketing Officer. NEW YORK, NY: The Avon lady is about to get a new boss. Cosmetics maker Avon Products is shuffling management, including a change of CEOs, amid falling sales and agitated investors. The London-based company said Thursday CEO Sheri McCoy will step down in March, 2018 after five years on the job and it will hire an executive recruiting firm to find her successor. With intense competition worldwide and changing consumption behavior among younger customers, Avon has been struggling to revive sales. It enacted a three-year turnaround plan that called for simplifying its product line, investing in growth areas while driving out costs. While Avon has had a particularly hard time in North America in recent years, it says it remains strong in many overseas markets like Mexico, Brazil and Russia where it is a top cosmetics brand with its direct-sales approach through its representatives, known as the Avon Lady. It hoped to focus on Millennials and draw younger customers. Yet the results of the turnaround plan are coming slower than expected. In the second quarter, Avon’s revenue fell 3% to $1.4 billion as it failed to generate profit, it said Thursday. Net loss for the quarter totaled $45.5 million, compared to $33 million of profit a year ago. Shares of Avon tumbled 10.9% Thursday to close at $2.99 a share, down 36 cents. Losses have mounted despite McCoy’s three-year restructuring plan she announced last year to reinvigorate the company. In March, 2016 Avon said it was cutting 2,500 jobs and moved its headquarters from New York to London. It also vowed to invest in technology and social media to boost sales. Its direct-selling model in the age social media marketing has also been questioned by analysts. Avon also sold most of its North American business to private equity firm Cerberus Capital last year following years of losses. “Avon’s lagging sales are really a testament to their inability to evolve the business model to meet customer needs,” says Kathy Gersch, an executive at consulting firm Kotter International. It is “difficult” to succeed in direct sales in the age of e-commerce, she said, citing Tupperware as an example. In emphasizing social media, Avon is pursuing “influencers” — ones with a large base of followers on Instagram or Youtube — to recommend its products. “Personal recommendations are still highly relevant in the e-commerce age,” Gersch says. 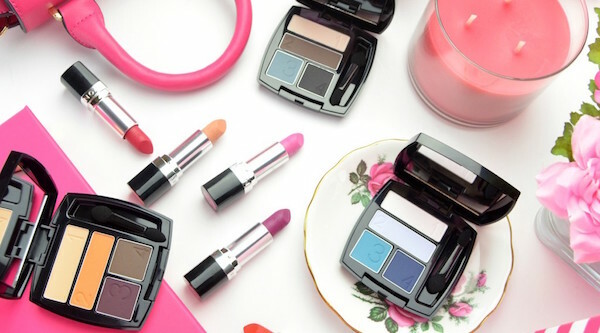 In May, an investor group led by Barington Capital Group repeated its message to Avon’s board that the company needs more fundamental changes, including a new CEO. Avon’s stock price has fallen by more than 80% since McCoy took over the CEO office, it noted. In December, 2015, Barington sent another letter to the board, questioning McCoy’s ability to manage the business effectively. It called for boosting e-commerce sales and cutting costs by $500 million to $700 million within two years. “While Avon has taken steps to improve its operations, we believe that efforts need to be dramatically intensified under new leadership,” it said.